It is with deep sadness that we announce the passing of our precious mother and grand mother Caroline Kuch of Dauphin Manitoba. 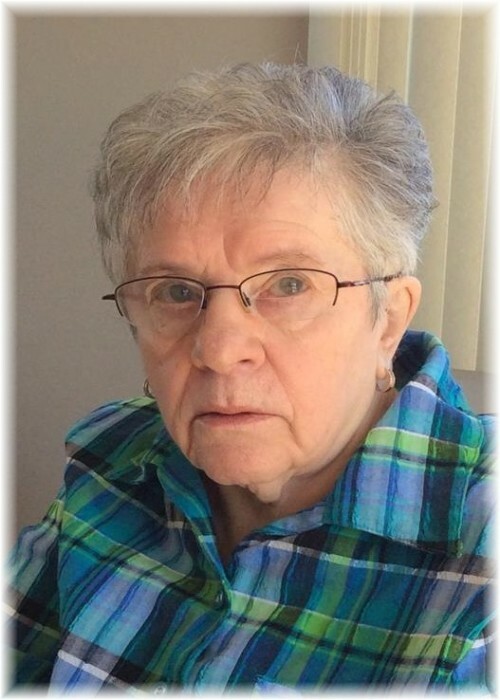 Mom passed away peacefully on Friday April 13,2018 at the Gilbert Plains Personal Care Home at the age of 85 years. Mom was born on March 21,1933 in Rossburn, Manitoba. Shortly after her birth Mom and her family moved to a farm in the Riding Mountain Park district of Grandview, where she attended Halton School. On Nov.2, 1949 mom was united in marriage to Alexander Kuch. They farmed in Grandview until 1953 when they moved to a farm in Birtle Manitoba. Due to Dad's ill health, they sold the farm and moved to Dauphin Manitoba in 1962. Mom was a member of the Ukrainian Catholic Church of the Resurrection in Dauphin. She was also a member of the Ukrainian Catholic Women’s League, S.S.M.I. Associates and Catholic Pastoral Care. Mom and Dad enjoyed watching baseball and were avid Toronto Blue Jay fans. After Dads passing Mom was delighted to be able to attend a live game in Toronto. Mom also enjoyed several hobbies. She was an avid gardener who took great pride in her vegetable garden and flowers. People would often stop by to admire her flowers and take pictures. One of Mom's greatest passions was quilting. Even after suffering from diminished eyesight, Mom persevered and continued quilting. We were all recipients of her many beautiful quilts, which we will treasure and enjoy for years. Mom was pre-deceased by Dad in 1994. She is survived by her four children : Valerie Ross, John Kuch (Betty), Sylvia Bonner (Tom) and Cynthia Hrychuk (Terry). Mom also leaves behind 8 grandchildren (Carly, Amanda, Jessica, Rebecca, Jennifer, Jonathan, Robert, Elliott) and 9 great grandchildren(Jaxon, Liam, Addison, Alexandra, Ethan, Jesse, Hudson, Dominic and Mac). Although she took pride in her hobbies (and the Blue Jays), there was nothing that she took more pride in than her children, grandchildren and great grandchildren. Her family meant everything to her. Mother, Grandmother and Great Grandmother will be greatly missed by us all. Miss me a little - but not for long. Rosary & Prayers were offered on Wednesday, April 18, 2018 at 7:00 pm from Ukrainian Catholic Church of the Resurrection in Dauphin, MB. Funeral Liturgy was held on Thursday, April 19, 2018 at 10:00 am from Ukrainian Catholic Church of the Resurrection in Dauphin, MB with Very Rev Father Oleg Bodnarski & Rev Father Yaroslav Strukhlyak officiating. Interment followed in Riverside Cemetery in Dauphin, MB. Pallbearers were Terry Hrychuk, Jonathan Hrychuk, Robert Hrychuk, Elliott Hrychuk, Jennifer Bonner, Jessica Kuch. Should friends so desire, donations in memory of Caroline may be made to Charity of one's choice.